Many different personal injury accidents can give the victim the right to seek monetary recovery through a civil lawsuit in New Jersey, from motor vehicle accidents to dog bites. Any situation in which one person (or entity’s) neglect to use due care causes another person personal injury could give rise to a lawsuit. In New Jersey, victims must follow specific instructions for how to file a personal injury lawsuit. A New Jersey personal injury lawyer can help with this legal process. 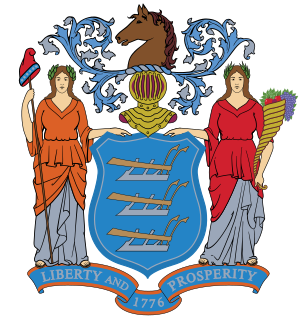 What Is the Statute of Limitations in New Jersey? The date of your accident and the date you discover your injury might not be the same if you experience delayed symptoms, or if you don’t notice your injuries until later (i.e. in an asbestos exposure case or surgical mistake). Missing your deadline almost always means giving up your right to file a claim. The New Jersey courts only make exceptions to the time limit in rare circumstances. Act quickly to make sure you don’t miss your deadline to file a personal injury claim. Discuss your exact deadline with an attorney. In New Jersey, the cap on punitive damage awards is $350,000, or five times the amount of compensatory damages (whichever is larger). Hiring a lawyer can help you get the maximum amount of recovery for your losses. A lawyer knows what your case is worth, and will aggressively fight for fair compensation in and out of the courtroom. Discovering whether you have a personal injury lawsuit in New Jersey takes understanding the state’s negligence laws. The basis of most personal injury suits is negligence. To have a successful claim, you must prove that the defendant owed you a duty of care, negligently or intentionally breached that duty, and caused your damages as a result. New Jersey is a “modified comparative negligence” state. This means that if a party is more than 50% at fault, he or she will lose the right to recover damages. It’s your burden as the claimant to prove the other party was more at fault than you were for your injuries. Legal representation, however, can help you build and present your case. Most personal injury law firms offer legal services on a contingency-fee basis. This means you will only pay lawyers’ fees if your attorney wins you a monetary award. If you do win your case, your lawyer will take a predetermined percentage of the settlement or judgment (typically around 33%, or one-third). That way, you never have to pay for your lawyer out of pocket. Hiring an attorney is worth the price, as claimants usually obtain more money than they would have alone, even after paying lawyers’ fees. If you have any further questions or would like to discuss the specifics of your case with a qualified attorney, contact us today for a free legal consultation.